The NCO Professional Military Education Graduate Ribbon was established on August 28, 1962, by Air Force Chief of Staff General Curtis E. LeMay. 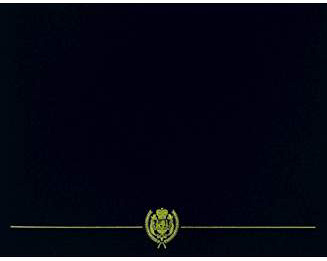 The NCO Professional Military Education Graduate Ribbon has been in effect since August 28, 1962. The NCO Professional Military Education Graduate Ribbon is worn after the Armed Forces Reserve Medal and before the Basic Military Training Honor Graduate Ribbon. 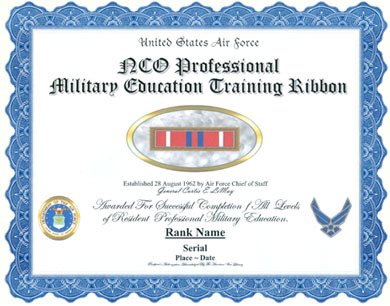 The NCO Professional Military Education Graduate Ribbon may not be worn on the Navy, Marine Corps, or Coast Guard uniform. Additional awards are denoted by bronze oak leaf clusters.